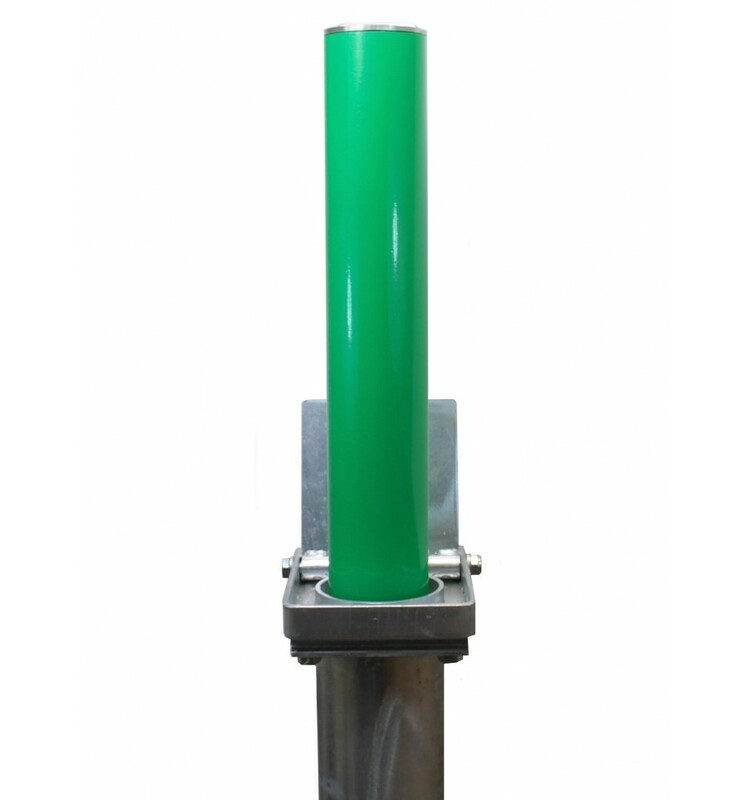 Green TP-200 Telescopic Security & Parking Post. 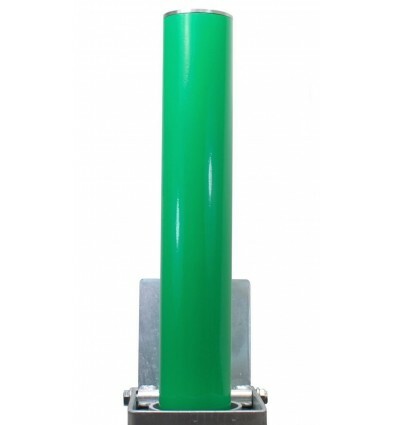 > Parking - Security Posts & Bollards>Posts & Bollards for Parking & Security>Telescopic Security Posts & Bollards >Green TP-200 Telescopic Security & Parking Post (001-3930 K/D, 001-3920 K/A). 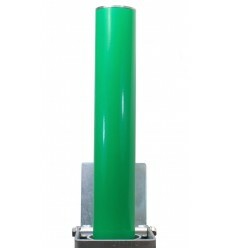 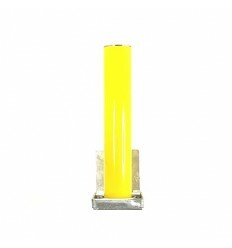 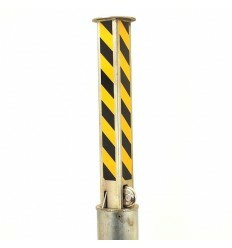 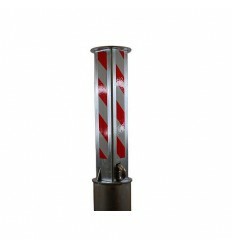 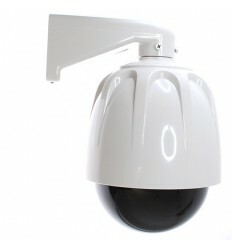 Green TP-200 Telescopic Security & Parking Post (001-3930 K/D, 001-3920 K/A). 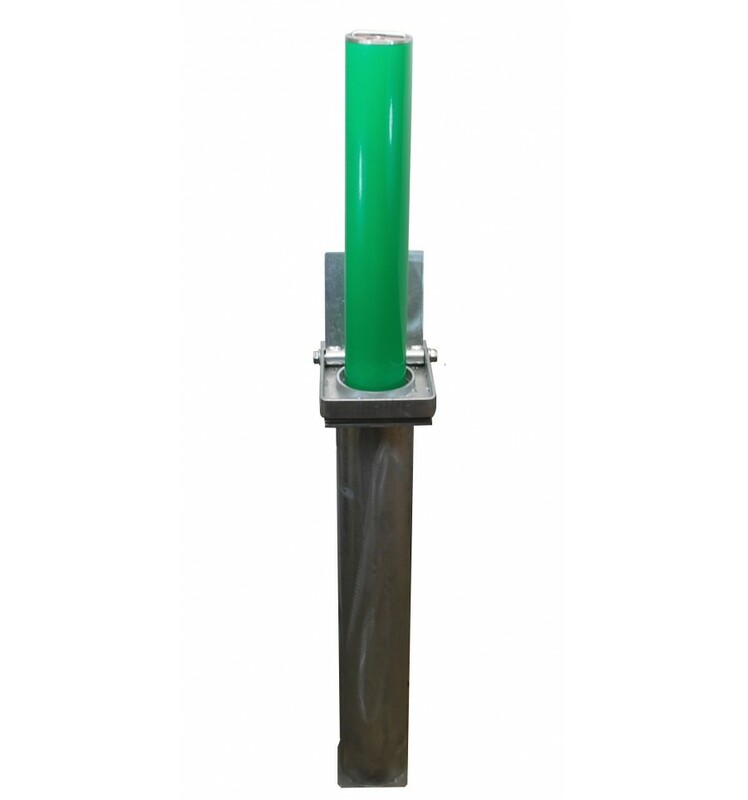 Green Telescopic Security & Parking Post with Integral Top Lock, when not it use it retracts back into the ground leaving a flush surface, safe for Pedestrians & Vehicles to cross. 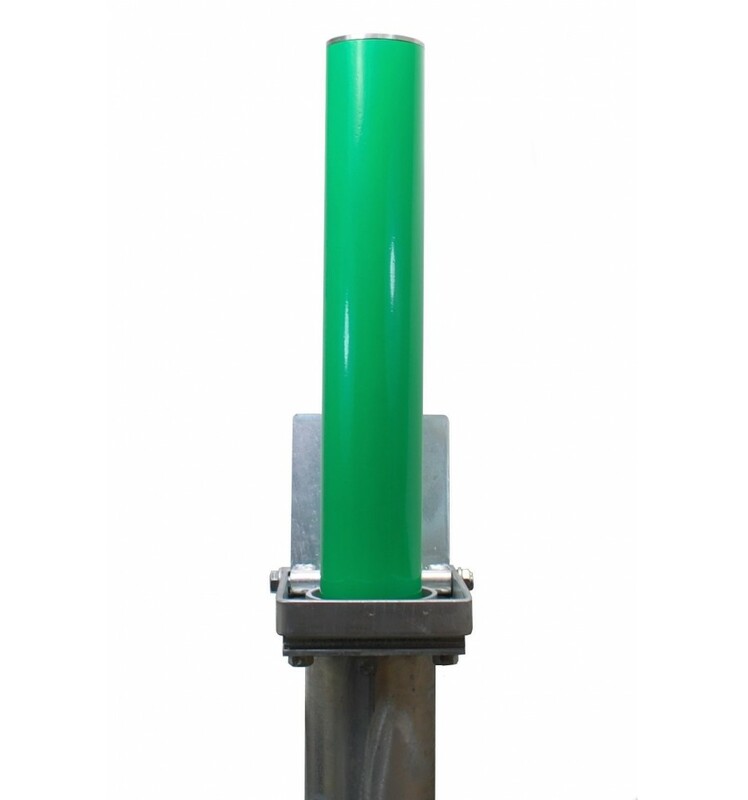 This Green TP-200 BK Fully Telescopic Security and Parking Post locks into the upright (and down) position with an integral top lock, when not in use it retracts back into the ground base leaving a totally flush ground surface (safe for pedestrians and vehicles to cross). 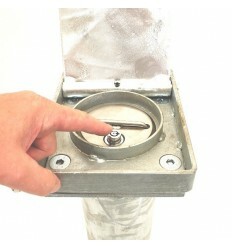 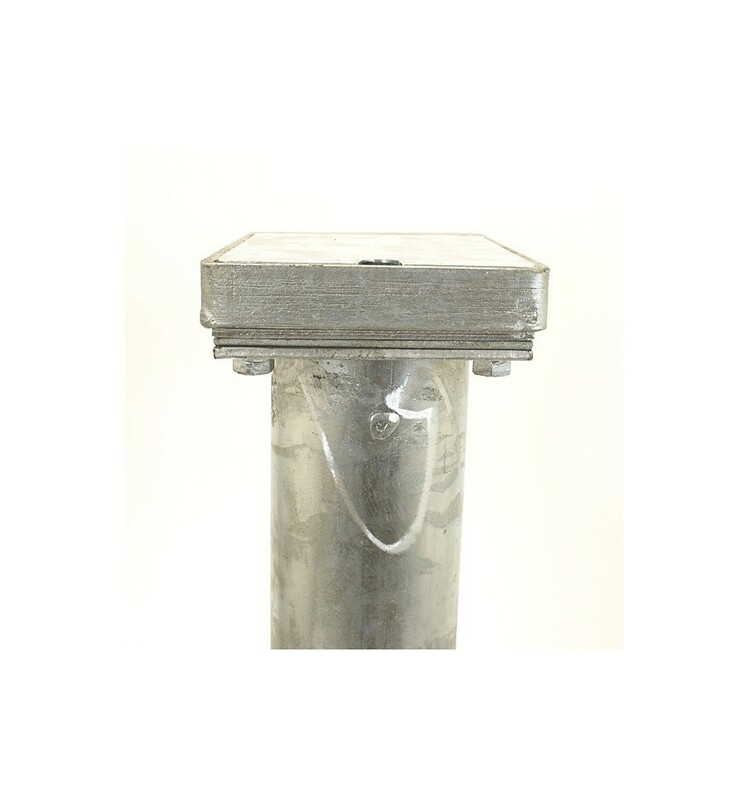 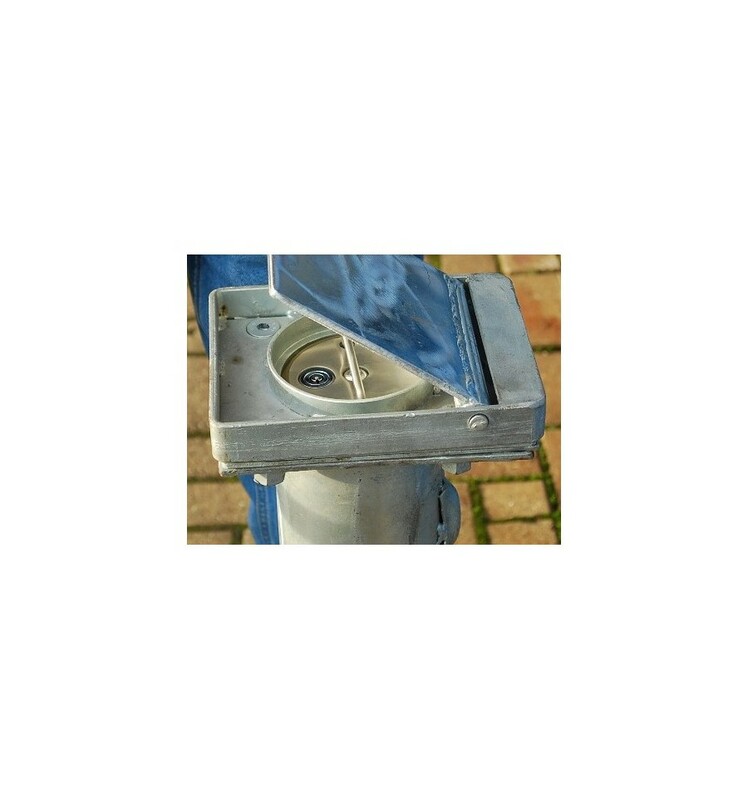 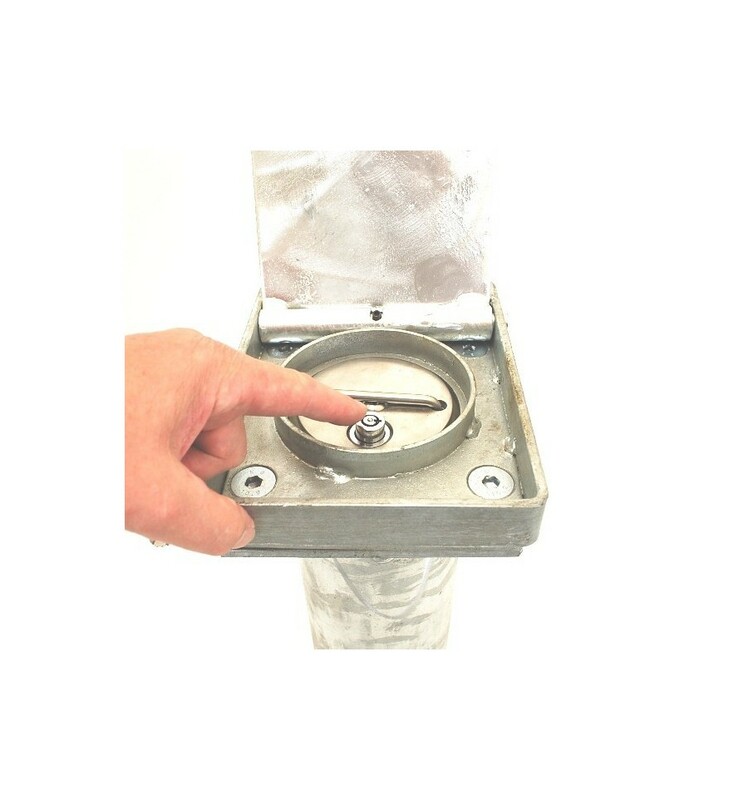 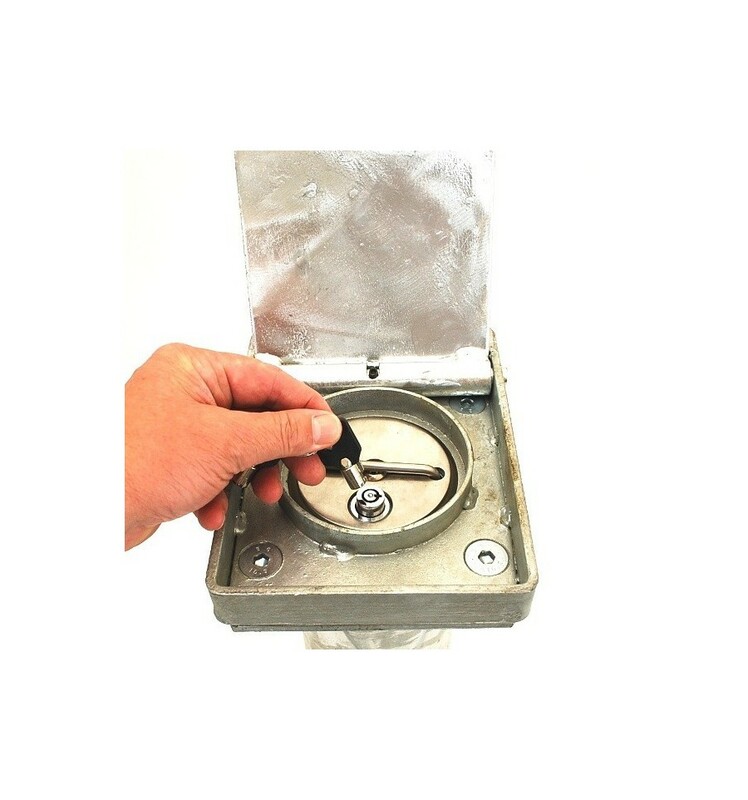 The Post has a protective seal between the top post and ground sleeve, when not in use there is a hinged lid that completely covers the top of the post. 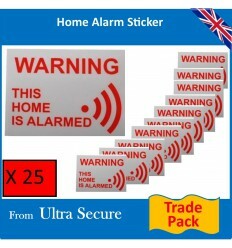 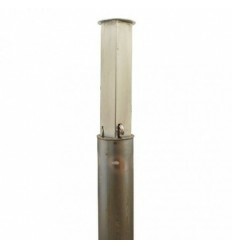 This quality looking post is ideal for installations in the front of all types of domestic homes & small retail premises, locations where Security and Appearance is important. 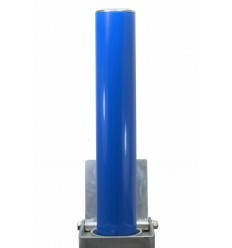 Telescopic Posts are the strongest type of Post due to the fact that more material is under ground than above. 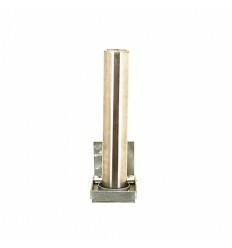 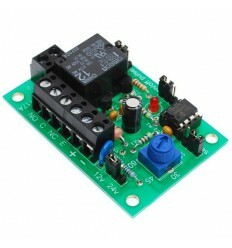 A very popular Post !! 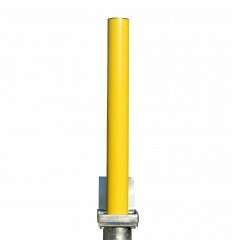 Additional Keys for the 610, 620 & TP-200 Parking & Security Posts (please note only keyed alike versions currently available). 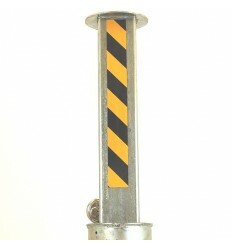 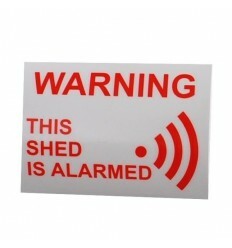 An External 'Reserved Parking' Sign made from durable PVC. 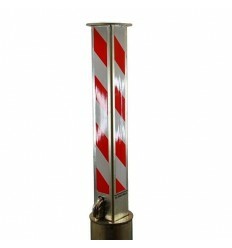 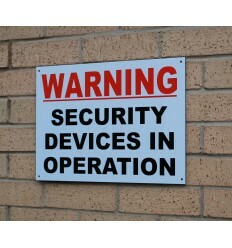 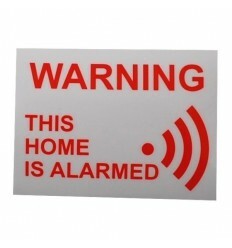 An External Private Parking Sign made from durable PVC. 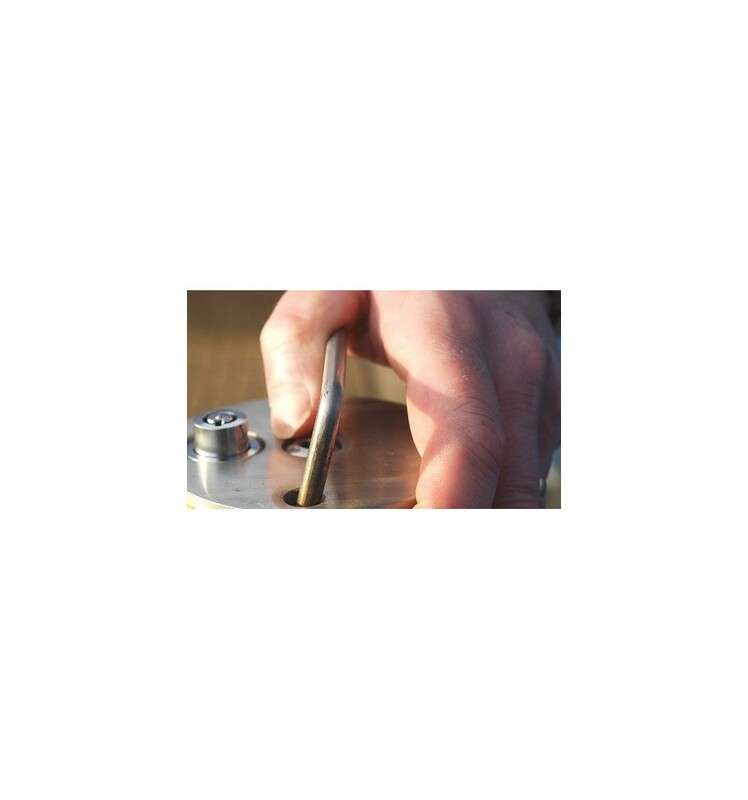 1 x Integral Top Lock. 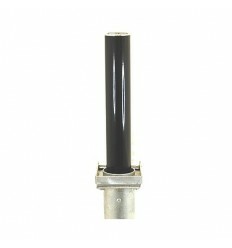 Seal Between Post & Base: Yes. 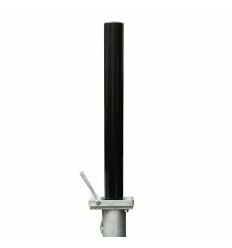 Top Post Diameter: 90 mm. 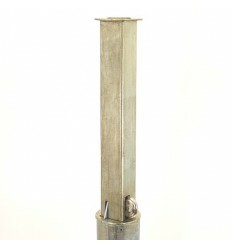 Height of Post when Raised: 480 mm. 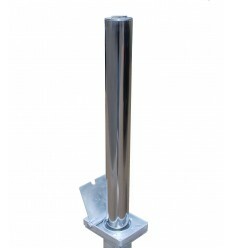 Height of Ground Base: 750 mm. 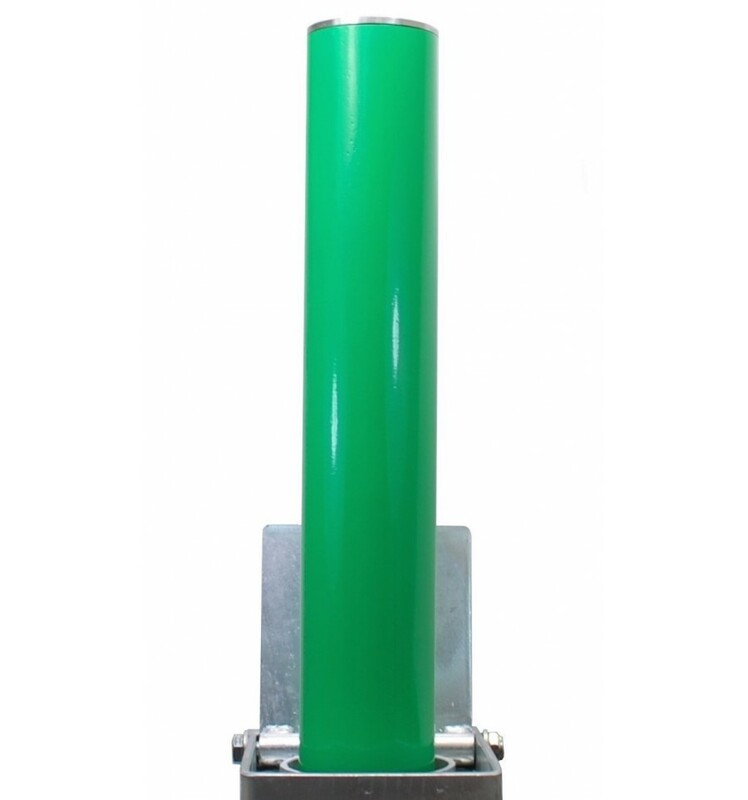 Diameter of Ground Base: 110 mm (Tube). 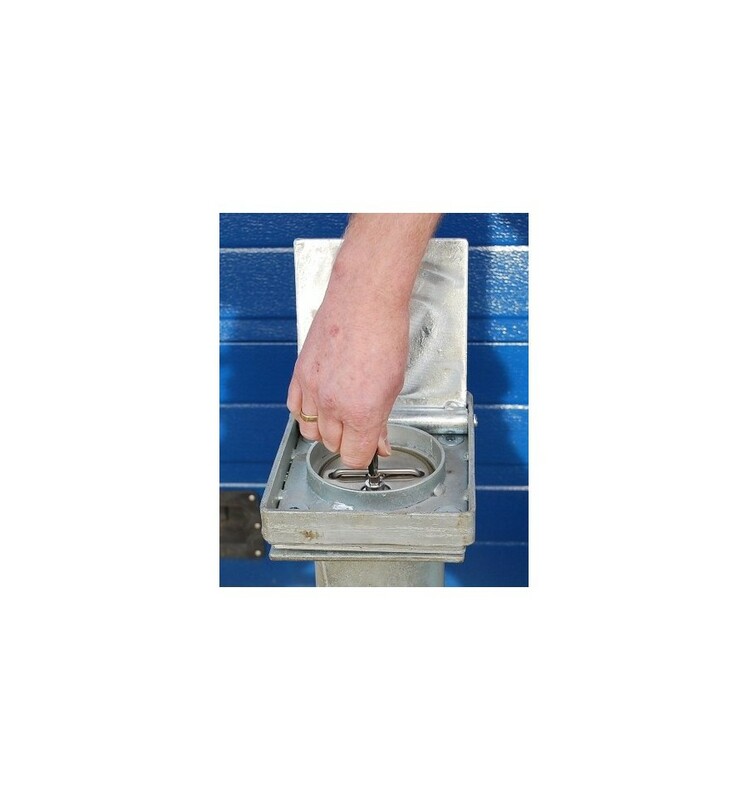 Lifting Weight: 7 Kilo (approximately 15 lbs). 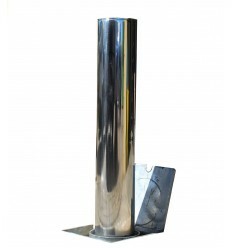 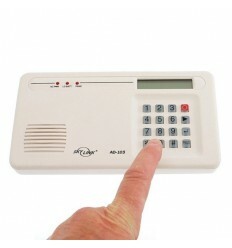 Size of Base Top: 210 x 160 mm.